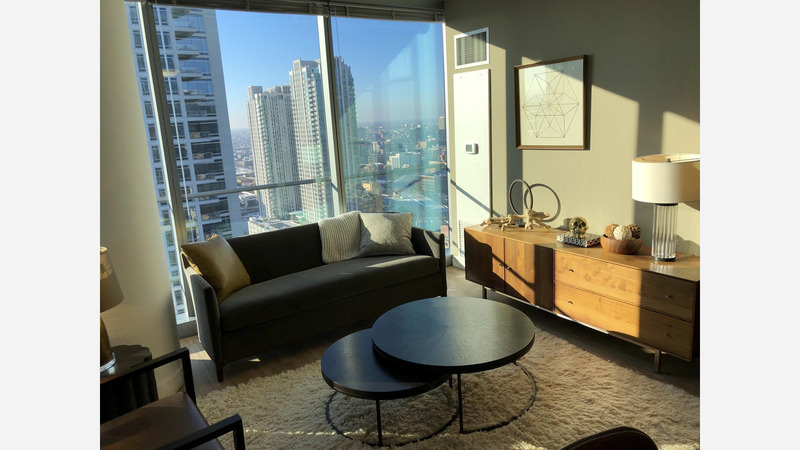 What will $2,200 rent you in River North, right now? Curious just how far your dollar goes in River North? We've rounded up the latest rental listings via rental site Zumper to get a sense of what to expect when it comes to hunting down a place in this Chicago neighborhood if you don't want to spend more than $2,200/month on rent. Listed at $2,200/month, this 1-bedroom, 1-bathroom apartment is located at 345 N LaSalle Dr. In the unit, you can expect a dishwasher, in-unit laundry, a balcony, carpeting and air conditioning. Next, there's this 1-bedroom, 1-bathroom apartment located at 510 W Erie St. It's also listed for $2,200/month. The building features on-site laundry, garage parking, an elevator and storage space. Here's a studio apartment at 34 West Wolf Point Plz., which is going for $2,151/month. In the unit, you'll get hardwood floors, a dishwasher, in-unit laundry, a walk-in closet, a balcony, stainless steel appliances and ample natural light. Located at 770 North LaSalle Dr., here's a studio apartment that's listed for $2,102/month. In the unit, you can expect in-unit laundry, a balcony, granite countertops, hardwood floors and floor-to-ceiling windows.